Nikolai Demidenko is invited by the the Blackmore International Music Academy to give masterclasses at the Società Dante Alighieri in Vienna. Nikolai Demidenko returns to Fribourg with Schubert, Scriabin and Prokofiev recital. Nikolai Demidenko returns to the Menuhin Hall to perform Schubert, Scriabin and Prokofiev. 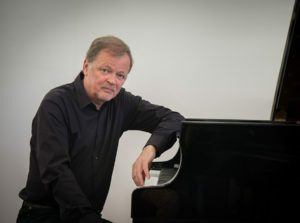 Nikolai Demidenko will perform Schubert, Scriabin and Prokofiev. Nikolai Demidenko plays Chopin Piano Concerto No 1 with the Czech National Piano Orchestra under the baton of Heiko Mathias Förster. Nikolai Demidenko returns to the Villamarta Theatre to performance Schubert, Scriabin and Prokofiev. Nikolai Demidenko performs Schubert, Chopin and Prokofiev at the Rudofinum-Dvorak Hall in Prague. Nikolai Demidenko plays Tchaikovsky Piano Concerto No 1 with the NFM Wroclaw Philharmonic under the baton of Jacek Kasprzyk. 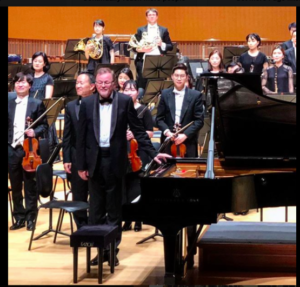 Nikolai Demidenko returns to the Karol Szymanowski Philharmonic to perform Tchaikovsky Piano Concerto No 1 under the baton of Charles Oliveri-Munroe. Nikolai Demidenko and Janusz Olejniczak, both jury members will perform two Chopin concerts at the inauguration of the 1st International Chopin Competition on Period Instruments with the Orchestra of the Eighteenth Century under the baton of Grzegorz Nowak. Nikolai Demidenko is invited to performance in Zelazowa Wola, the birthplace of Fryderyk Chopin. Nikolai Demidenko returns to the Piano International Series with six Sonatas of Scarlatti, Mozart Sonata for piano No 8 K310, 3 Schubert Moments Musicaux D780 followed by a rarity - Alfred Cortot piano arrangement of Frank Sonata in A for Violin and Piano. Nikolai Demidenko plays Medtner Piano Concerto No 2 with the Slovenian Philharmonic Orchestra under the baton of Vladimir Fedoseyev. Nikolai Demidenko returns to the Helsinki Filharmonic Orchestra under the baton of Robert Trevino to perform Weber Piano Concerto No 2. Demidenko plays Mozart Piano Concert with the European Union Chamber Orchestra at the University of Southampton. Demidenko plays Mozart Piano Concerto with the European Union Chamber Orchestra at the Cheltenham Town Hall. Nikolai Demidenko plays Schubert's Impromptu op.142 no4 in F minor and Sonata in C minor op. posth and on second part Chopin's selection of Valses and Mazurkas. Nikolai Demidenko begins his recital with three Schubert Moments Musicaux followed by a rarity - Alfred Cortot's piano arrangement of Frank´s Sonata in A for Violin and Piano. In the second half he plays Chopin Barcarolle and four ballades. Nikolai Demidenko plays Beethoven Sonata no. 8 “Patetique” and Sonata no. 14 “Moonlight” and after intermission four ballades of Chopin. Nikolai Demidenko plays Scriabin Piano Concerto in F minor, Op.20 with Göttinger Symphonie Orchester under baton of Christoph-Mathias Mueller. Nikolai Demidenko makes his Greenville debut with his signature piece, Rachmaninoff’s beloved Second Piano Concerto under the baton of Edvard Tchivzhel. Nikolai Demidenko plays Rachmaninov Piano Concerto no. 2 with the Gulbenkian Orchestra under the baton of Giancarlo Guerrero.